English for Academics is a communication skills course for academics who need to work and socialise in English. Aimed at B1 level and above, this two part series practises using English in a range of situations, from making small talk at a conference to giving a presentation, from reading a range of academic texts to writing academic correspondence. 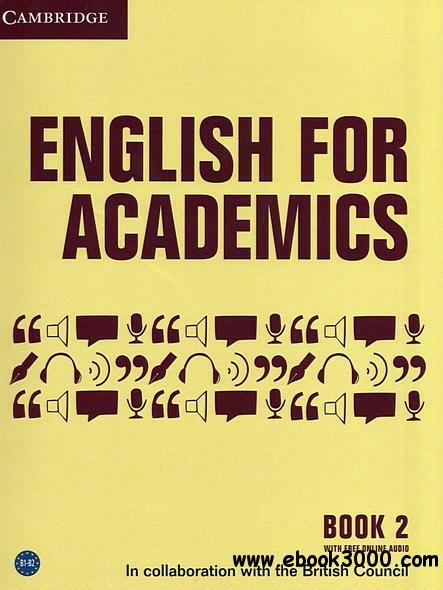 English for Academics was written in collaboration with Olga Bezzabotnova, Svetlana Bogolepova, Vasiliy Gorbachev, with a special thanks to the project consultant Rod Bolitho.